Blood blisters are a swelling on the skin’s surface that is filled with blood. They appear with red & fluid-filled bumps caused due to burning or rubbing, making the blood vessels under the surface of the skin get damaged. They can develop in many various sizes from one pin-head to 2 cm in diameter. You may get a blood blister on the face, mouth, feet, hands, toes, etc. Blood blisters can be annoying and painful. When the blood vessels under the surface of the skin get damaged, the problem of blood blisters occurs. They are harmless and can heal by themselves within several weeks. However, there are some natural ingredients that can remove blood blisters fast. 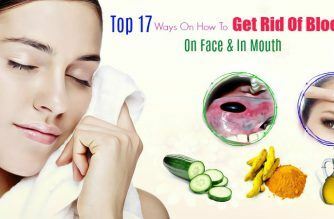 In this article, Effective Remedies will help you know how to get rid of blood blisters on face and in mouth fast and naturally. Ensure sufficient consumption of iron, folic acid and vitamins C, and B12. It’ll boost the immune system and lessen chances of blood blisters. A healthy immunity will help you prevent multiple injuries and encourage the treatment of ailments, including blood blisters. Vitamin B12: This vitamin is essential to the body and the skin. We can obtain enough this vitamin through the diet. It plays an important role in remaining the health of the metabolism, nerve cells and blood cells. A lack of vitamin B 12 can result in anemia, permanent neurological damage and problems with the stomach. Foods rich in vitamin B 12 include almonds, seafood, milk, eggs and cashew nuts. Vitamin C: Vitamin C or ascorbic acid is useful for skin care. Vitamin C deficiency can cause the decreased collagen synthesis, which results in long-lasting wounds. You can get vitamin C in oranges, grapefruit, lemons, green leafy vegetables, watercress, cabbage, mango, radishes, onions, coriander, sweet peppers, and guava. Folic Acid: Folic acid helps the body make red blood cells. You can find it in multiple foods such as oranges, red beans, tofu, avocados, leafy vegetables, tomatoes, cabbage, rice and spinach. 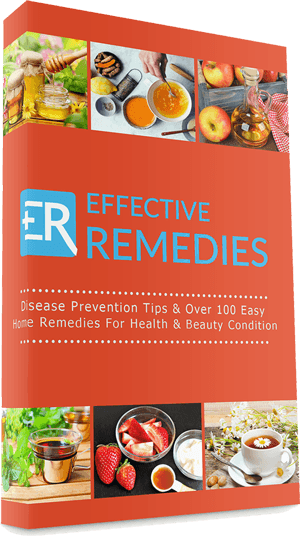 Home remedies have been used as removal options for pimples and blood blisters for centuries. 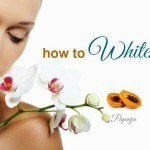 Before applying any of them, it’s vital to test them on a part of the skin different from your face. Take a cotton ball at first and later dip it in the witch hazel extracts. After that, apply it to the face and let it dry out naturally. For visible results, repeat the procedure three times every day. Sandalwood contains remarkable medicinal properties that are essential for skin care. It is helpful for removing heat from the blood blisters and facilitating the healing process. Besides, it can reduce swelling and relieve the blister-associated pain since it exhibits anti-inflammatory and analgesic effects. Combine the sandalwood powder with rose water and raw honey and blend these elements well. Then, use the paste to cover your blood bumps. Allow it to dry on the skin before washing off with water. Follow the method 3 times every day. 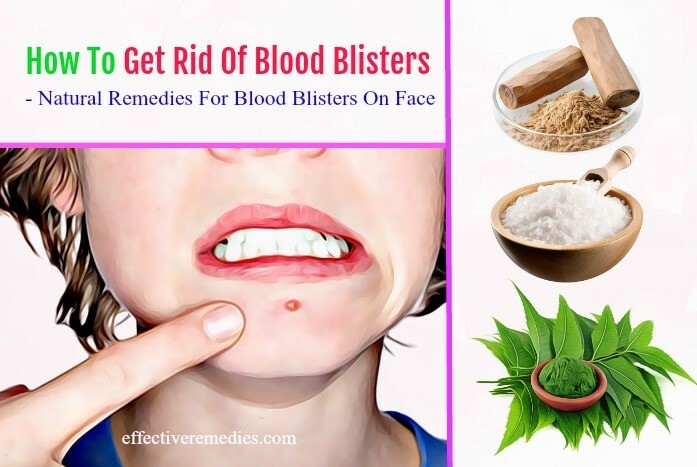 Are you wondering how to get rid of blood blisters on face naturally? Then you should consider Epsom salt. It is rich in anti-inflammatory properties that are beneficial for healing skin disorders including blood blisters. It further decreases inflammation and soothes pain related to blood blisters. The first step is diluting the Epsom salt in the water. The next step is soaking your blisters with the solution. Let it air dry on the blood blisters. For quick results, repeat the treatment three times every day for one week. Apple cider vinegar embraces anti-inflammatory properties and is also a powerful healing agent for sores, diabetes and cardiac problems. Plus, it is also abundant in the acetic acid that is perfect for quickening your recovery from the blood blisters. Not only that, it can ease the swelling and pain of the blisters. Add the apple cider vinegar to water at first and create a solution. Then, immerse one cotton ball in it and press this soaked cotton ball on your blisters for ten minutes. After that, wash it off with the aid of warm water. Reapply it 2 times every day. Firstly, slit open an aloe vera leaf to pick up the gel. Get a little gel at your fingertips afterward and gently apply it on the problem areas. Let it dry for a while before washing with warm water. Apply it daily for several days. Alternatively, you can mix equal amounts of vitamin E oil and aloe vera gel. Apply this solution on the blister and then let it dry. Tea contains the acidic element that helps heal blood blisters. 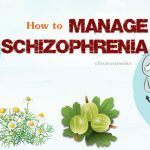 It additionally prevents this condition from getting worse. Besides, it is an astringent, which is useful for soothing inflammation and quickening your recovery from the blisters. 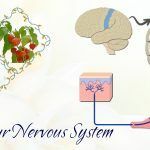 Furthermore, it can be helpful for reducing swelling and regenerating the damaged tissues, as it is full of catechins, phytonutrients, tannic acids, and flavonoids. Follow the steps below to make use of tea bags for combating blood blisters. Take the tea bag and soak it on warm water for a couple of minutes. Remove the tea bag from the water afterward and leave it to cool off. Start placing the tea bag on the blood blisters. Redo the procedure a few times per day. The antimicrobial and antibiotic qualities of neem make it a potential remedy for various therapeutic and medical purposes. Neem is effective at treating boils and blisters. Plus, it also helps to facilitate the healing process. For this treatment, grind a few neem leaves with enough water to get a smooth paste. Apply it on the blisters and let it dry. After that, wash it off. For remarkable effects, try this simple remedy regularly. The blood blisters in mouth can go away on their own. 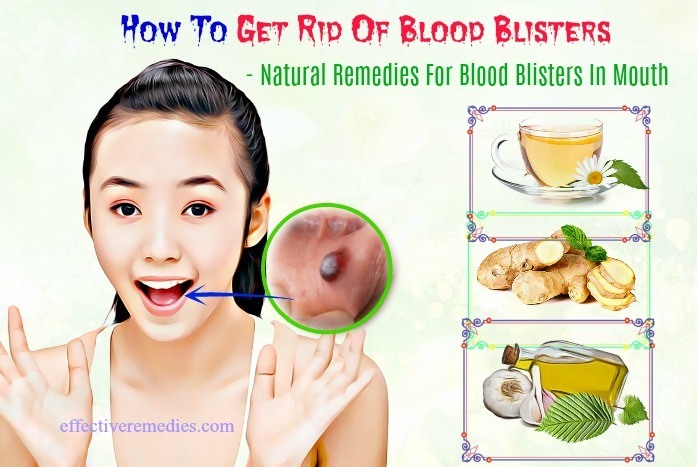 But, you can apply some simple but effective home remedies to battle the blood blisters in the mouth fast and naturally. 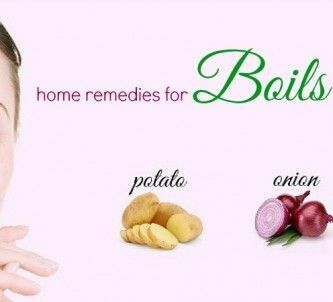 Here are the best home remedies that not only helps treat blood blisters in the mouth but also on toe or foot. Using a cold compress or pressing an ice cube on the injured regions can lower the blood flow to the blood blisters and potential inflammation. An ice wrap assists in constricting the damaged blood vessels and inhibiting internal bleeding. So, it is effective at easing the redness and pain caused by blood blisters. Firstly, wash some ice cubes in a washcloth and place it on the blisters in the mouth or other affected areas for ten minutes.  Do the process 3 to 4 times every day for a speedy remedy. Note: Don’t apply ice directly on the skin because it may result in an ice burn. Turmeric is well known for its medicinal and therapeutic properties, which are often used to battle skin problems such as suntans, minor burns, and blisters. The curcumin present in this yellow spice contains anti-inflammatory and anti-bacterial characteristics that deal with different types of infections. Along with that, turmeric works well on relieving your blood blister swelling and pain. Mix the turmeric powder with water to achieve a thick paste. Apply this paste on the blood blisters and use a bandage or medical tape to close it. You wash it off after 30 to 35 minutes with water. Redo the procedure 3 times in a day. Cucumber comes with a mineral called silica that can strengthen the connective tissues of the skin. Cucumber can lower swelling, pain and inflammation when applied on a blister. Moreover, it consists of anti-inflammatory flavonols such as cyclooxygenase and fisetin, all of which can heal the blisters and battle the pro-inflammatory enzymes. Cut one chilled cucumber into thick slices at first. Next, place a slice over your blister for several minutes. After that, you can change it with a fresh one. Repeat this simple trick three or four times per day to notice good results soon. You can also consume freshly squeezed cucumber every day. Tea tree oil comprises many medicinal qualities, which are potent in treating blood blisters quickly. It additionally dries out the blister thanks to its antiseptic, anti-inflammatory and antifungal properties. Plus, you can use creams, ointments, soaps and lotions containing tea tree oil to treat this problem. At first, dilute the tea tree oil with warm water. Apply the mixture on the blister and keep your mouth open. Leave the application to rest for roughly ten minutes. After that, use cold water to wash your mouth. For quick result, repeat the simple way a few times daily. 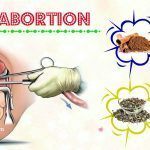 Pregnant and breastfeeding women should avoid using this treatment. Slightly heat the garlic oil and leave it to cool to room temperature. Gently massage it on the blood blister and leave to sit for around ten minutes. Afterward, rinse it by using cool water. You can use this home cure many times every day. 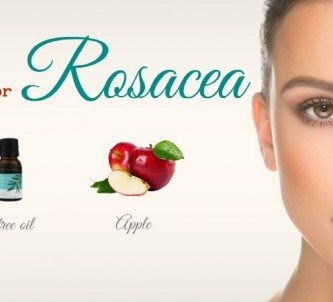 Note: Discontinue this remedy if the skin becomes red from this oil. Because it is rich in analgesic and anti-inflammatory agents, ginger can help control the blood blisters in the mouth. Its anti-inflammatory property is helpful to reduce the risk of infection and alleviate pain. Extract the juice from the fresh ginger. Start applying this ginger juice on your affected areas with cotton buds. For significant effects, follow the same process about 5 to 6 times every day. You can add some ginger slices to water at first and then bring it to a boil to make a ginger tea. Consume the tea regularly to cub the issue. Alternatively, chew some slices of ginger for best results. The antioxidants, anti-inflammatory and astringent found in chamomile make it effective at healing wounds. Plus, Roman chamomile contains soothing and softening qualities. It’s also perfect for fighting skin irritation, burns, wounds, bruises and blood blisters. Add the dried chamomile together with hot water in a teapot. Leave the mixture to steep for around five minutes and then, apply it over the blood blisters with a cotton ball. Redo this process many times per day. Using mouthwash to wash the blood blisters is an excellent way to minimize their size and facilitate the drying procedure. In case the blood blisters break, you can take some mouthwash and apply it with antiseptic agents over your wound. Also, it stops the bad blood from developing and spreading. Mix the water and food grade hydrogen peroxide well. Apply this mixture directly on the blisters with a cotton ball. This way assists in healing small blood blisters in your mouth very quickly. Don’t pop the blood blisters because it can cause infections, thus delaying the healing process. Stop drinking alcohol and quit smoking since they delay the healing procedure by increasing the body heat. Clean the blood blisters together with its surrounding areas regularly to inhibit the contact of irritants with these blistered regions. Eat a healthy diet and consume plenty of water daily to get safe and fast relief from the condition. Avoid consuming salt or spicy foods because they may aggravate the blood blisters and worsen the problem. If unluckily, your blood blisters become infected then you should ask your doctor for instant diagnose and treatment. If you suffer from extreme difficulties in swallowing or eating or severe pain, seek medical attention immediately. Stop suffering from irritation and pain and start following these natural remedies for treating blood blisters. 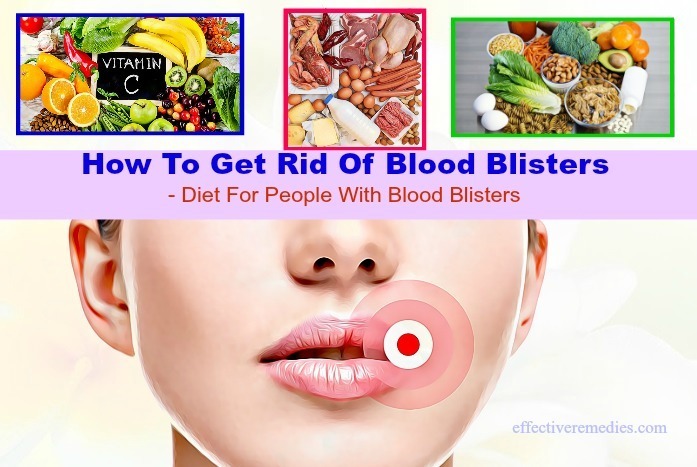 If you know other ways on how to get rid of blood blisters on face and in the mouth, then share your experience with other readers and us in the below comments box. 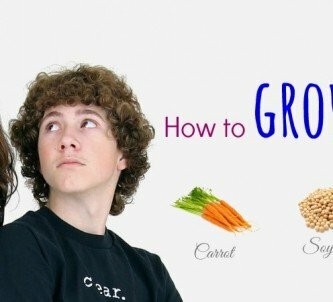 All of the contents provided in this article are for informational & educational purposes. We recommend you consult a healthcare professional to determine which method is appropriate for you.